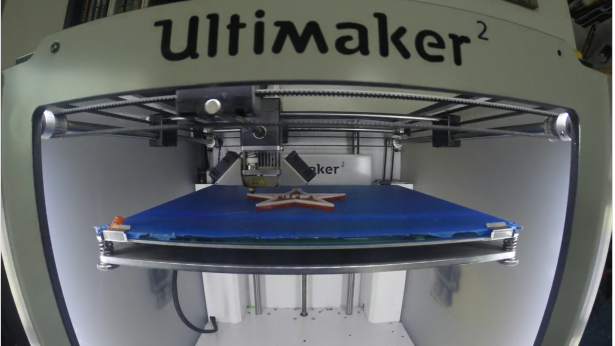 One of the greatest freedoms 3D printings grants us the freedom of choice. You choose the colors, the design, you can customize everything! This opens up a whole new window of possibilities for trying something new. 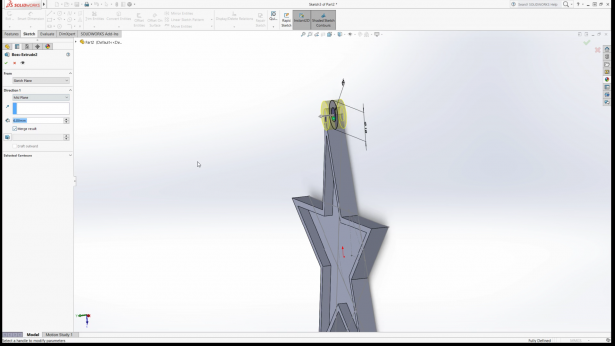 So, with both SOLIDWORKS World 2017 and 2018 being held in Los Angeles, California, we thought we would put some names in stars! The technique used in this tutorial will be printing in multiple colors but with a single extruder. This is great to create contrasting colors and a good way to avoid painting and using glue. The design for this is very simple but does require you to think into the future and know how your machine behaves under certain circumstances. The image below shows a profile of the effect we are after. 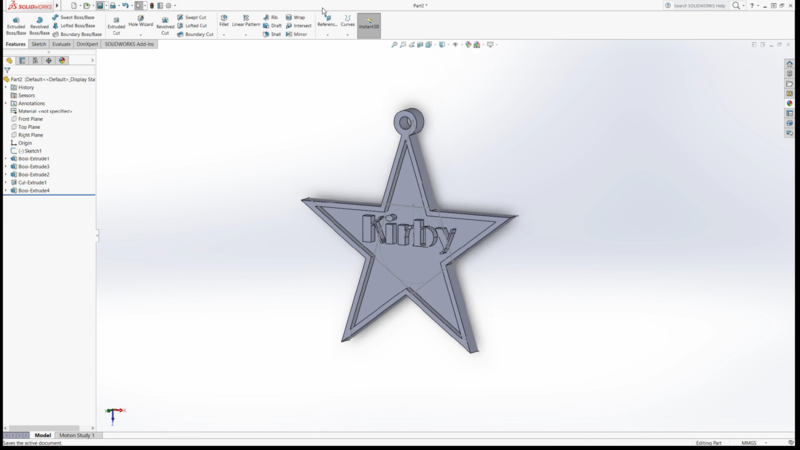 So, to start of we made a star using basic SOLIDWORKS features, we then made a neat border and put the name Kirby in the face. We made sure there was a loop on the top to make it a keyring. 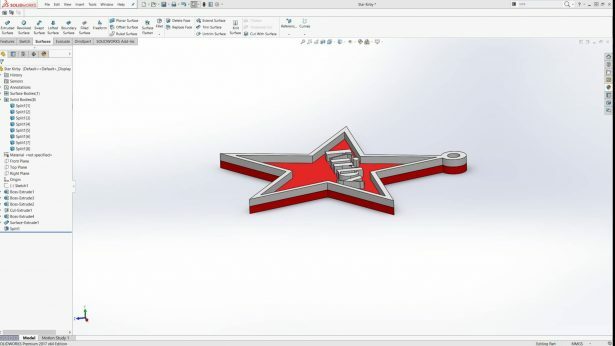 The name part is the section that we are going to customize. Essentially, all you do is change the name or replace it with a logo. Now that our model is finished, we are ready to print. 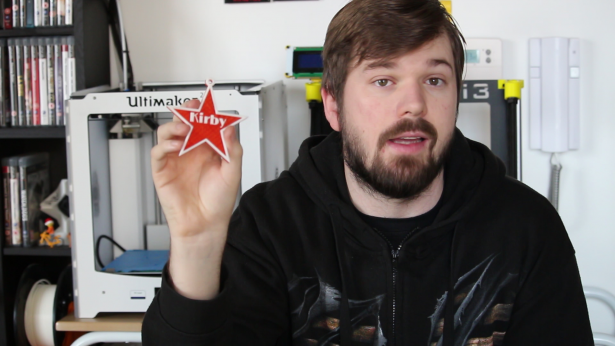 To pause a print halfway to change filament can be done in two different ways. 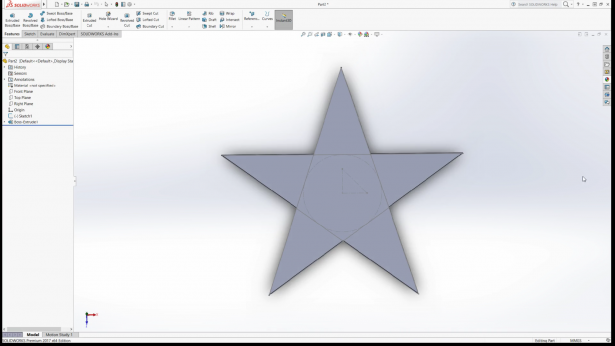 You do this in your preferred slicing software or manually. 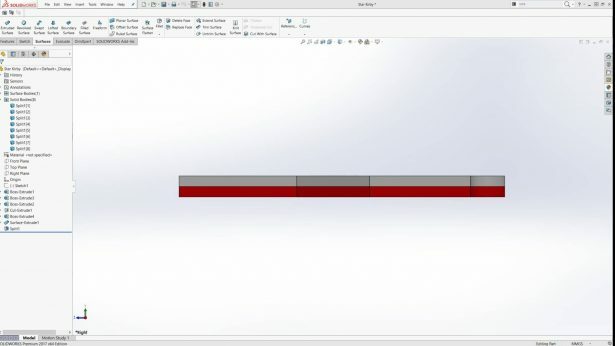 In some Slicers, you can set it up to pause the print at a certain height and once you change the material you can resume. If your slicing software doesn’t have this option you can wait till the right moment and pause the print yourself this does require you maintain and watch your print while it does its magic. So we knew we would set this up to print in red first and then make the detail in white. We launched the print and waited till it stopped, we then changed to white and launched the print again. The white was layered on and it worked like a charm. 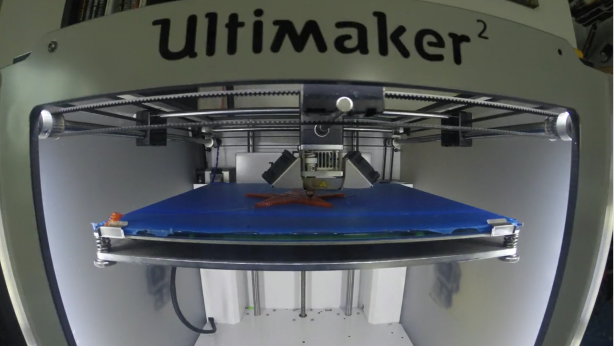 If you have two print heads, you can go into a lot more detail with this. The method we have shown you is fairly limited in what you can do. Once you have multiple heads you can create more detailed prints such as white within the red as opposed to on top which we have done here. 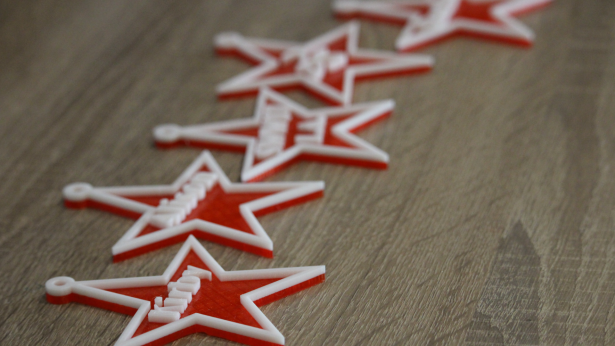 These stars are a fun little project which you can make unique to yourself or to anyone you wish to present them to. 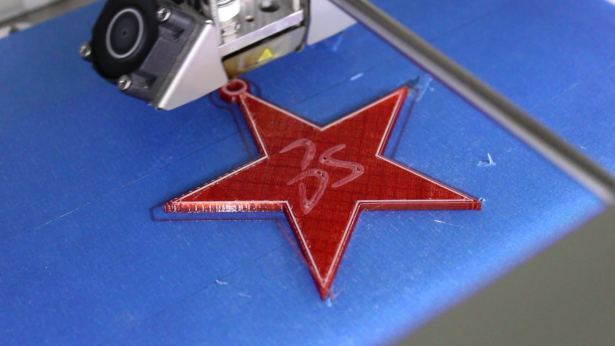 3D printing presents this unique way to put anyone’s name amongst the stars and make them feel special. This style of this type of project can inspire a whole new design style and design techniques. Using more than one color or even blending the colors will give birth to really cool ideas. The limit is how far you wish to extend the imagination.